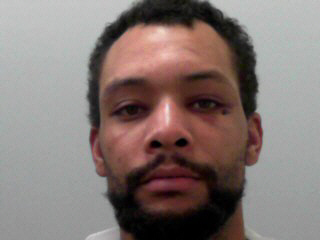 Officers responded to a 911 call of a Robbery at the Mickey’s Convenience Store located at 3802 East Stan Schlueter Loop, on Wednesday, July 5, 2017, just after 12:30 a.m. Upon the officers’ arrival, they were told that two males entered the store, displayed a weapon and demanded money. The suspects fled the area on foot, down Chantz Drive, with an undisclosed amount of money. The suspects were last seen wearing dark-colored clothing and gray masks. No injuries were reported. UPDATE March 8, 2017: During the course of this investigation, detectives have obtained the following video of the robbery suspect in this case. Killeen Police are asking for the community’s help identifying a robbery suspect. 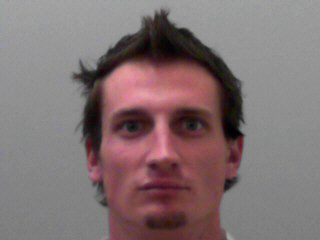 Officers responded to a 911 call on Tuesday, October 14, 2014 at 7:30 pm, telling them of a suspicious person at Golden Coral located at 1420 E. Central Texas Expressway. Upon the officers arrival they were told that a male came into the restaurant and waited until there were no customers at the cash register. The suspect then made his way to the cashier and demanded the employee open the cash register; employee called out for help and the suspect fled the restaurant in an unknown direction. No one was injured during this incident. Detectives were able to obtain photos of the suspect. 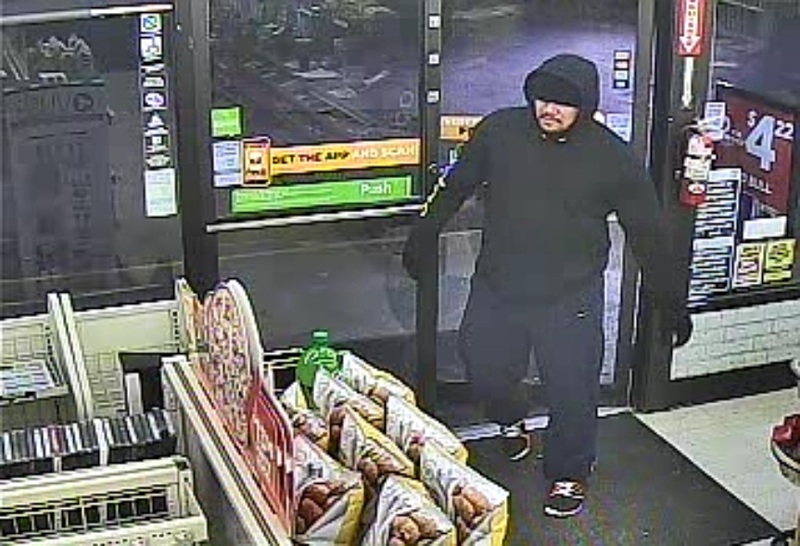 The suspect was described as a white male with short black hair, wearing a white ball cap and sunglasses, approximately 5’8” tall and weighs about 200 pounds. He has a tattoo on his right hand and had black tape wrapped around all of his finger tips. 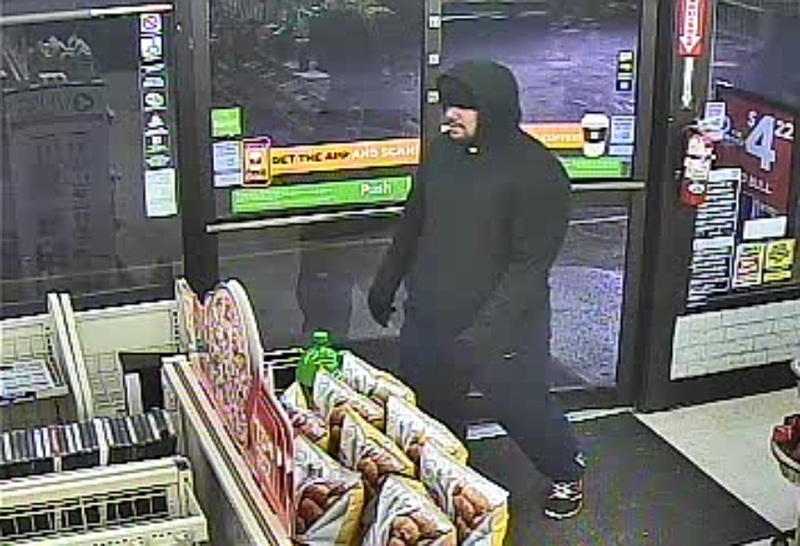 Detectives are asking anyone who can identify the male in the photo or has information about this Robbery, to contact Crime Stoppers at 526-TIPS (8477) or go online at www.bellcountycrimestoppers.com or text BELLCO along with the tip to 274637. Text HELP to 274637 for help with the tip or text STOP to 274637 to stop the tip, message and data rates may apply. All information is confidential and anonymous, and if your tip leads to the identity and arrest of the suspect responsible for this crime you could be eligible for a reward up to $1,000 in cash.